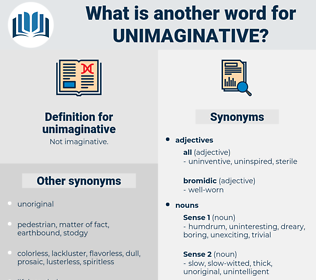 What is another word for unimaginative? 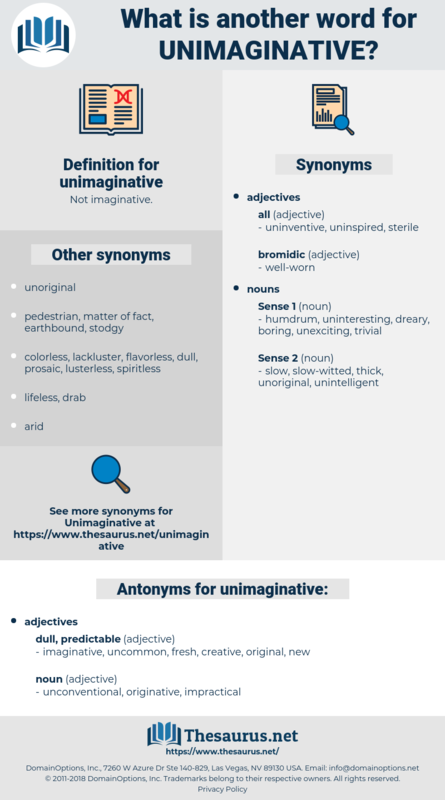 imaginative, uncommon, fresh, creative, original, new. Now, one would hasten to add that there are children in every class, and it may be in every family - unimaginative, matter - of - fact, commonplace children - who need to have given them, and to learn to enjoy, if possible, the mere vagaries and haphazard inventions; and it would be a pity to deprive any child of them in his hours of intellectual play. These intimations of the future are, for the most part, altogether of an unpoetical and unimaginative character.